Buy 1 for $24.05Buy 2 / Save $1.28!Buy 3 / Save $4.81! 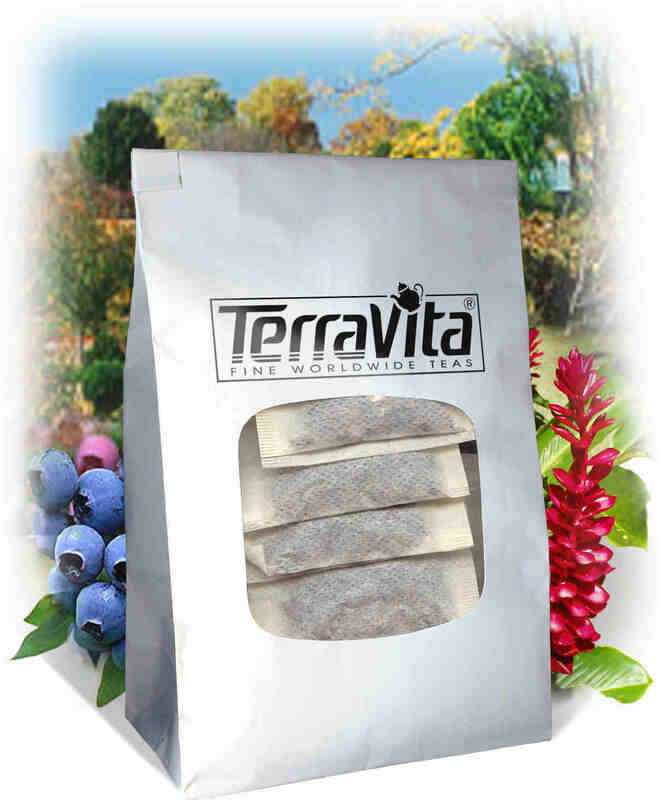 Hot tea brewing method: Bring 4 quarts (3.75 L) freshly drawn cold water to a rolling boil. Remove from heat and add 4 tea bags. Cover and let steep for 8 hours. Add lemon, milk and / or sugar to taste. Drink 1 cup (250 mL) with morning and evening meals. Drink half a cup with daily snacks. Drink more or less tea daily as desired. This product contains cathartic herbs. Pregnant and nursing women, children and the elderly should consult with a doctor before using. Also, individuals suffering from any illness should consult with a health care professional before using any herbal supplement. 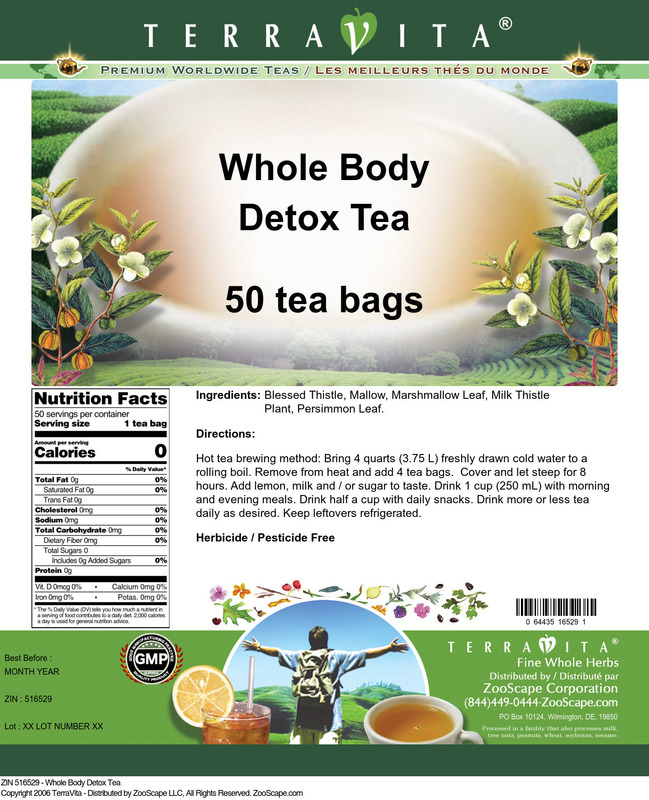 The Whole Body Detox Tea has been a big help in relieving my IBS constipation, which I have had serious problems with for many years. For the most part, nothing else has helped on a continual basis, but this tea has! I actually learned about the benefit of these particular herbs contained within this tea via the Internet. After searching, I found Zooscape and the Whole Body Detox Tea and gave it a try because it fit my budget better than other brands available. I've used one complete bag of 50 tea bags prior to writing this review in order to know it was going to continue working for me and it has. My thanks to Zooscape for making it available in large quantity at a good price and offering specials on it as well. You have a happy customer!